LEADVILLE, COLORADO (August 6, 2015)—Two and a half hours into her 3-hour training run, feet pounding dirt step after step, Lindsey Sachs can feel the tension, and anticipation, in every muscle. What most of us would consider torture, Sachs sees as just another run in her quest to achieve what most would never attempt. “Running is very simple for me—it’s the power of my body taking me from point A to point B—but this is a whole new level,” says Sachs. This year, Sachs has been logging hundreds of miles while training for the Blueprint for AthletesTM Leadville Trail 100 Run presented by New Balance and produced by Life TimeSM, The Healthy Way of Life Company. Held annually on trails and dirt roads near Leadville, Colorado and through the heart of the Rocky Mountains, the Leadville Trail 100® is known as one of the world’s most iconic and grueling ultra-races. Many athletes consider it the precipice of their athletic career. Sachs, 34 of Minneapolis, Minnesota, along with 749 other ultra-athletes, will climb and descend 15,600 feet in elevation ranging from 9,200 to 12,620 feet. 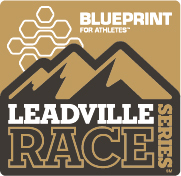 Participants and attendees of the Leadville Trail 100 Mountain Bike, set for August 15, and Run, set for August 22, will be able to learn more about Quest and the Blueprint for Athletes service at the Blueprint for Athlete’s booth located at the Leadville pre-race expos. In addition, Quest is giving event participants who come to the booth an exclusive opportunity to access the Blueprint for Athletes service for a special rate. Visit http://www.leadvilleraceseries.com for more information. As The Healthy Way of Life Company, Life Time Fitness helps organizations, communities and individuals achieve their total health objectives, athletic aspirations and fitness goals by engaging in their areas of interest — or discovering new passions — both inside and outside of Life Time’s distinctive and large sports, professional fitness, family recreation and spa destinations, most of which operate 24 hours a day, seven days a week. The Company’s Healthy Way of Life approach enables customers to achieve this by providing the best programs, people and places of uncompromising quality and value. As of August 6, 2015, the Company operated 117 centers under the LIFE TIME ATHLETIC® and LIFE TIME FITNESS® brands in the United States and Canada. Additional information about Life Time centers, programs and services is available at lifetimefitness.com.